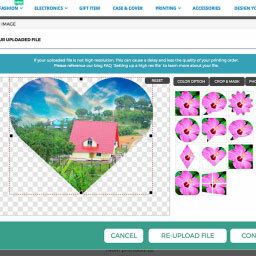 Home Designer Features Inkybay backend got new look, what’s newly included? Take a look at few snapshots of new admin for Inkyaby and below what’s newly included! What’s new added in Inkybay? 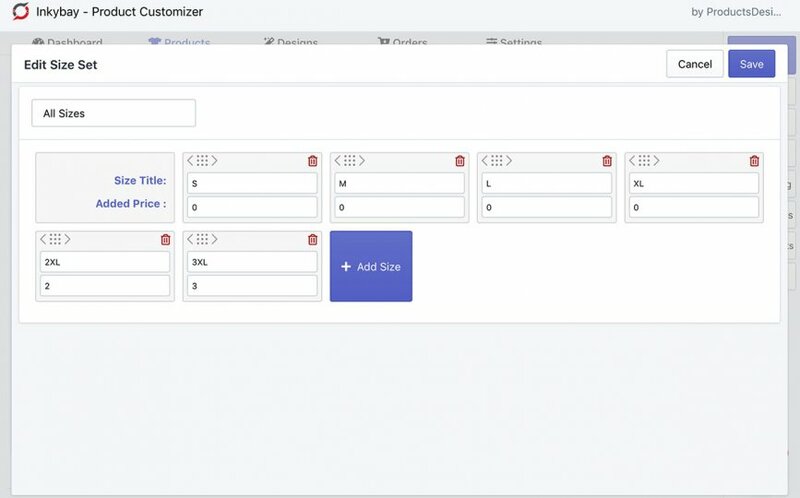 Clear dashboard to view your store customization and resource status. 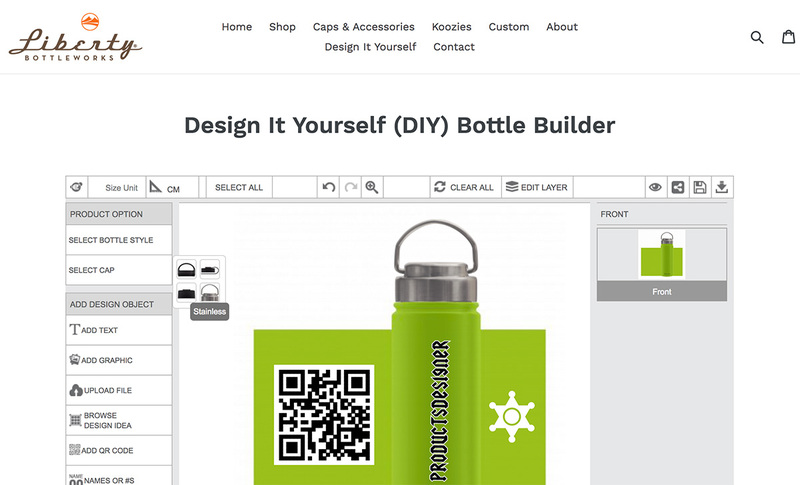 Easy product adding for customization. 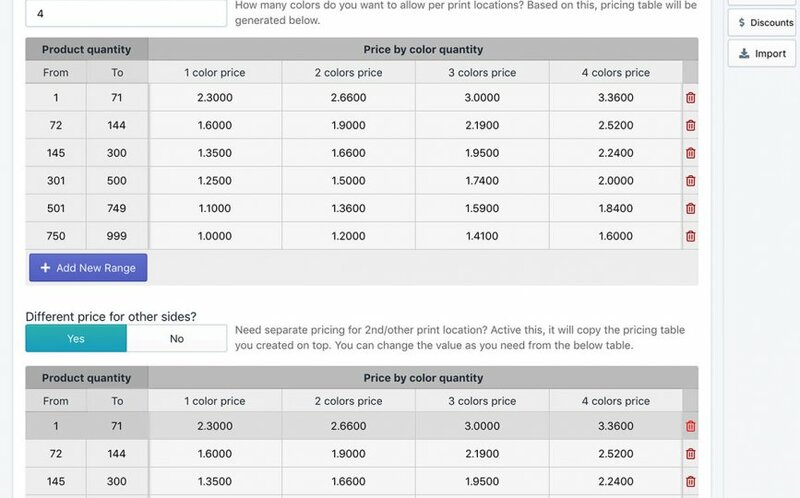 Now you don’t need to leave the page for adding new product colors, sizes or setting printing types and customization pricing. Everything is on the same page. 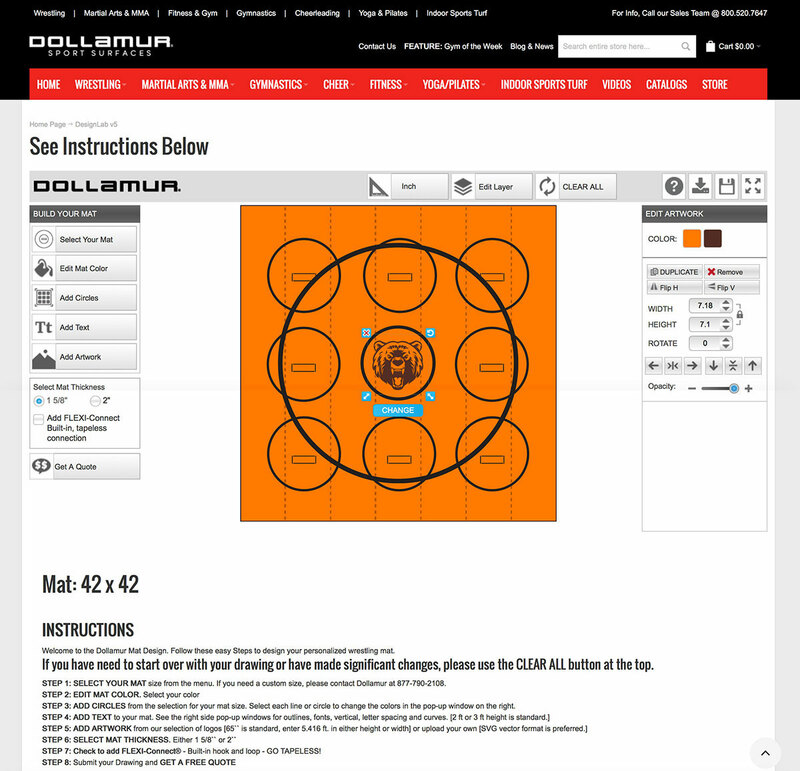 Duplicate existing custom products with all it’s images and settings. 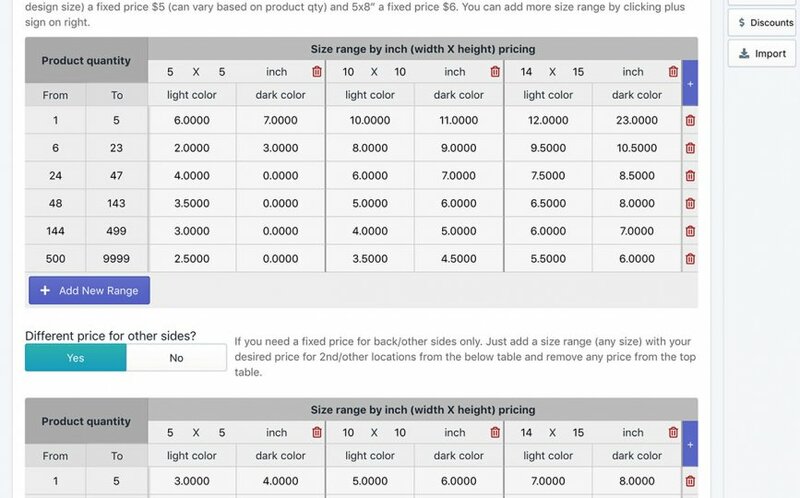 Extra price for per print location or product side. 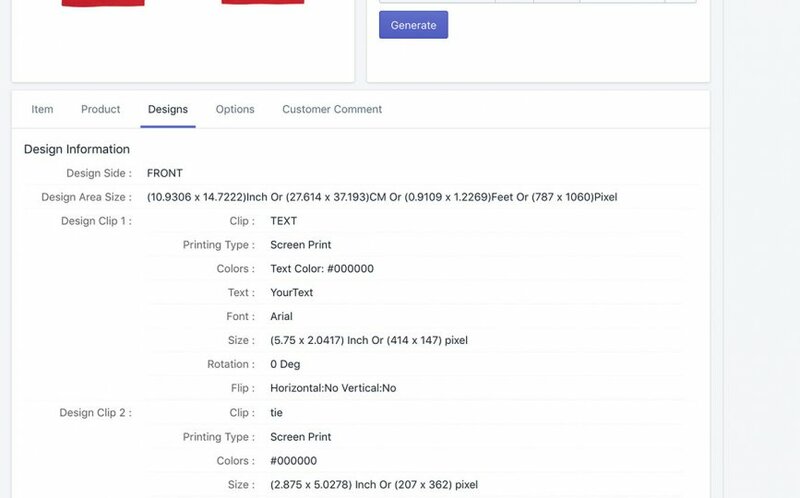 Now you can set a fixed customization price for every product sides, like $5 extra when customers add any design on the front or back side and $3 extra when customers add any design on sleeves. 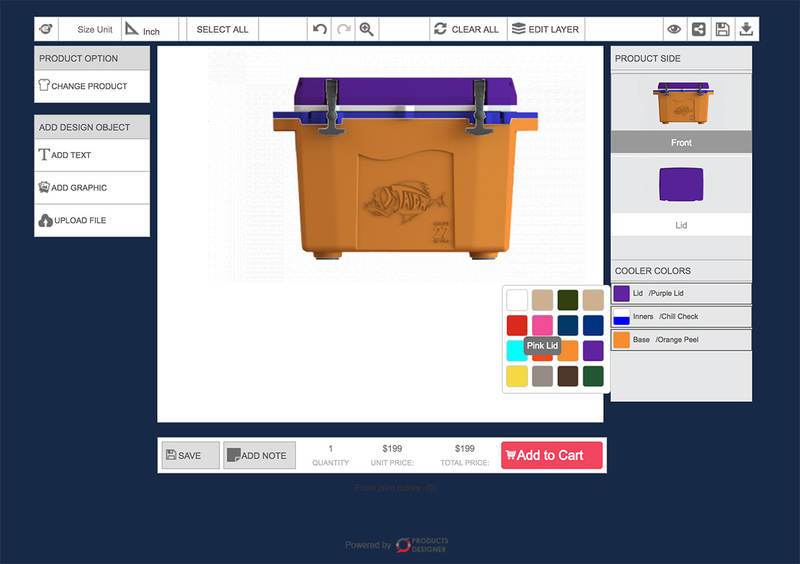 Combine color sets to apply solid colors (colorize by design tool) and upload a separate image for product colors for the same product. 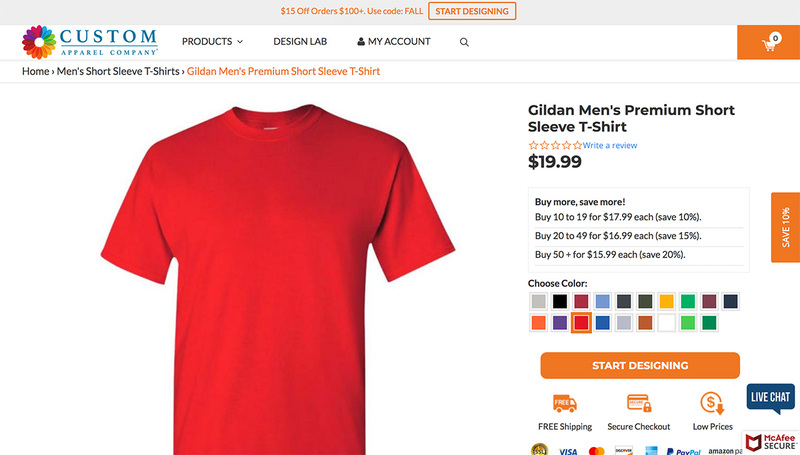 Imagine, you have a t-shirt product with 50 colors available and 5 of them are heather color. In the previous system, you have to add all 50 color images separately because you want to show the heather colors view as well. 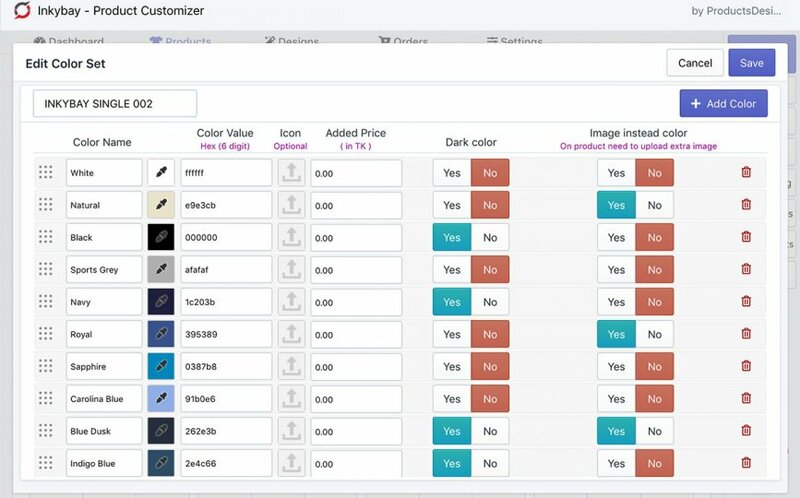 Now you can manage this product colors with only 6 images instead of 50 separate images. Out of 6 images, one will be as grayscale (white) transparent PNG (will be used for all solid colors you added) and another 5 for heather colors. 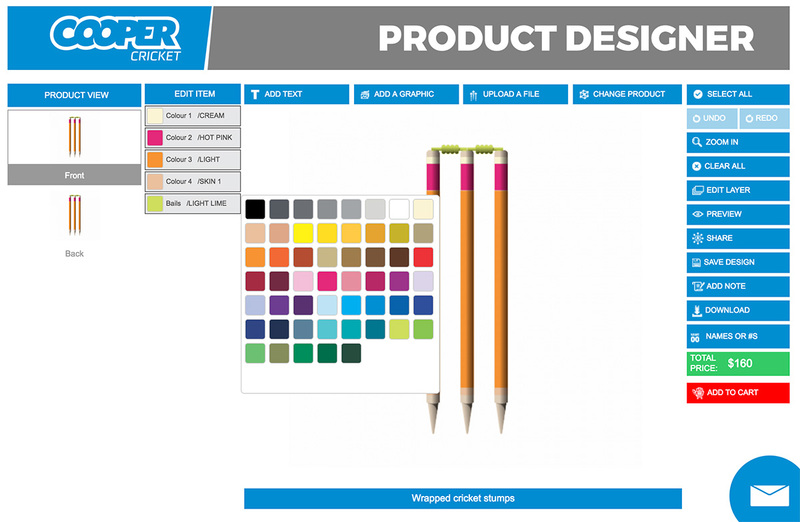 Design tool will show the solid colors by instant colorization (without loading extra images) and for the heather color it will load the image as admin uploaded separately for those colors. 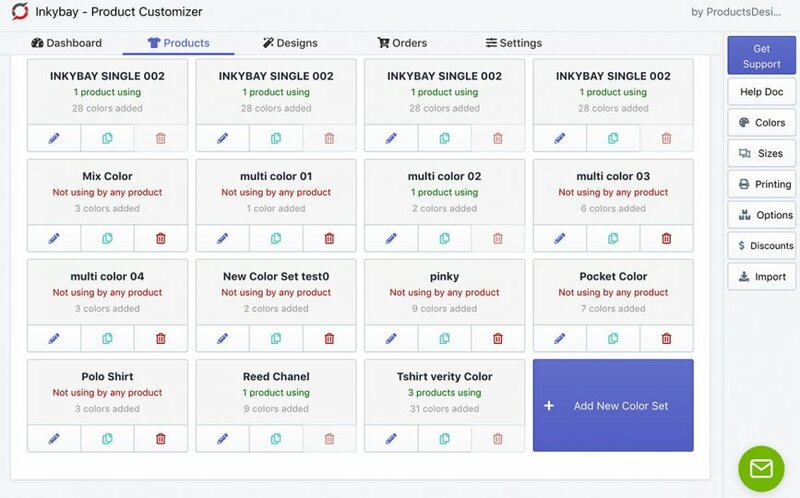 Option to apply any custom colors for the product. 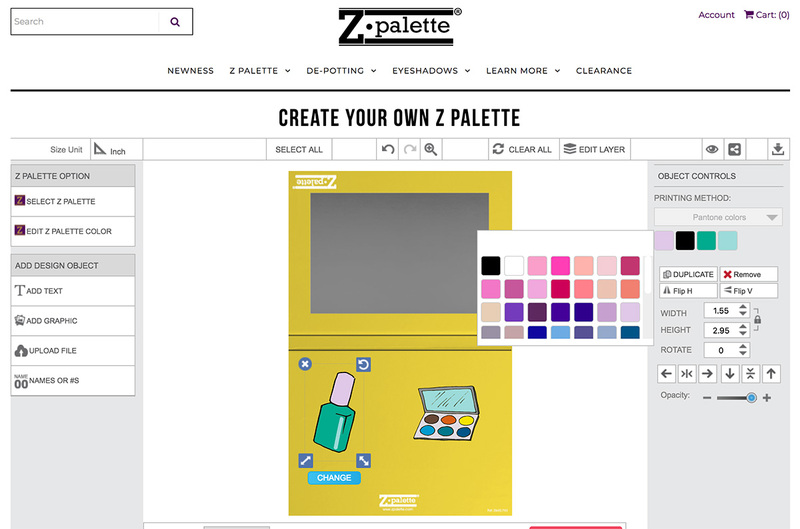 The customer can choose colors from color palate or enter custom color codes. 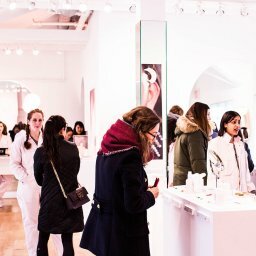 Easy color adding for products. 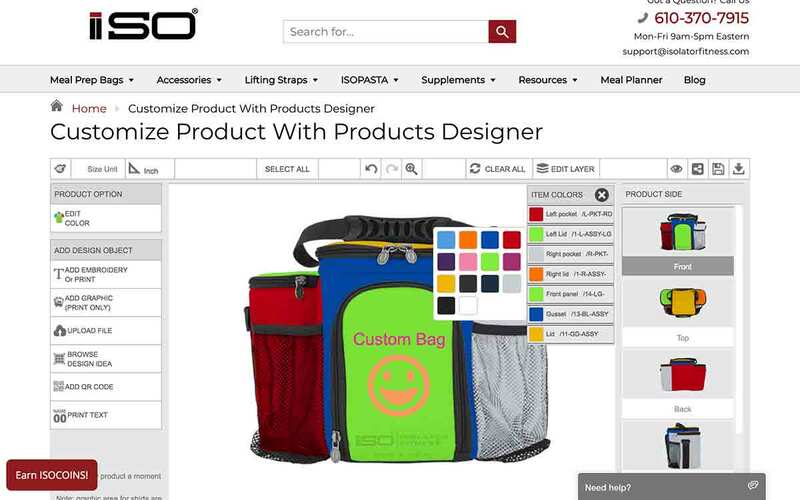 Option to choose from available stock colors including color code and names. 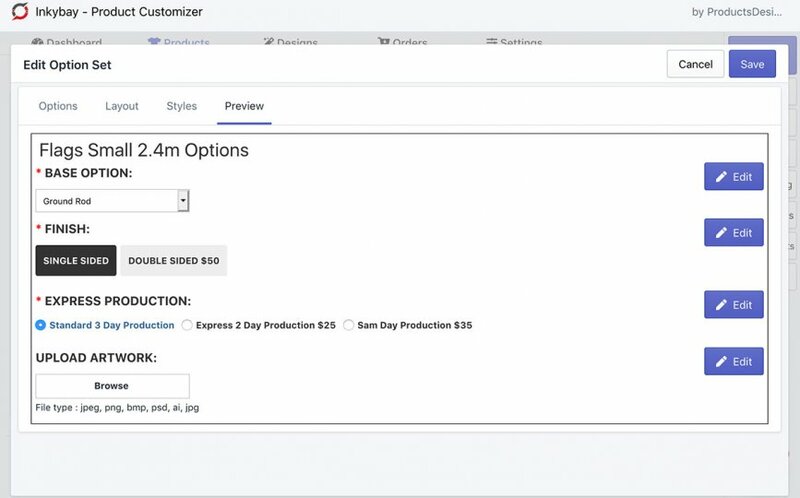 View custom products in the designer from the admin product list. 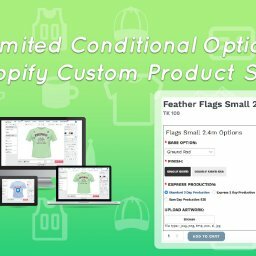 View custom products in Shopify from the admin product list. 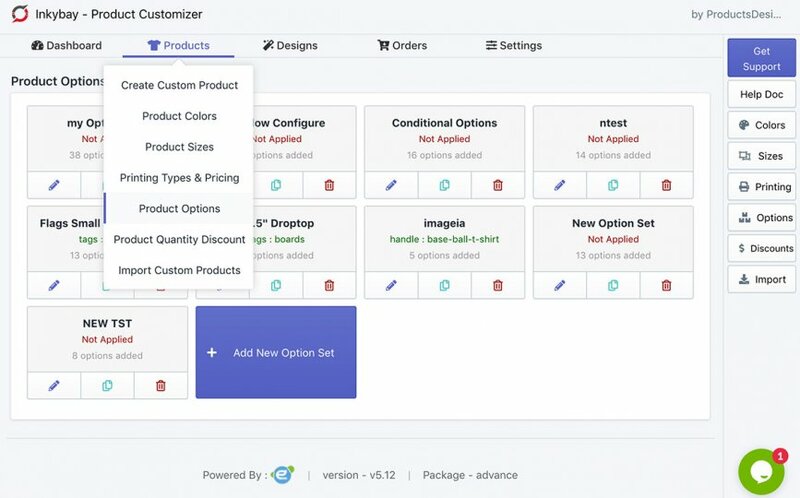 Advanced settings for configurable custom products. 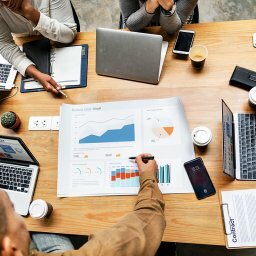 Error reporting while adding a configurable product (if there any misconfiguration is done). 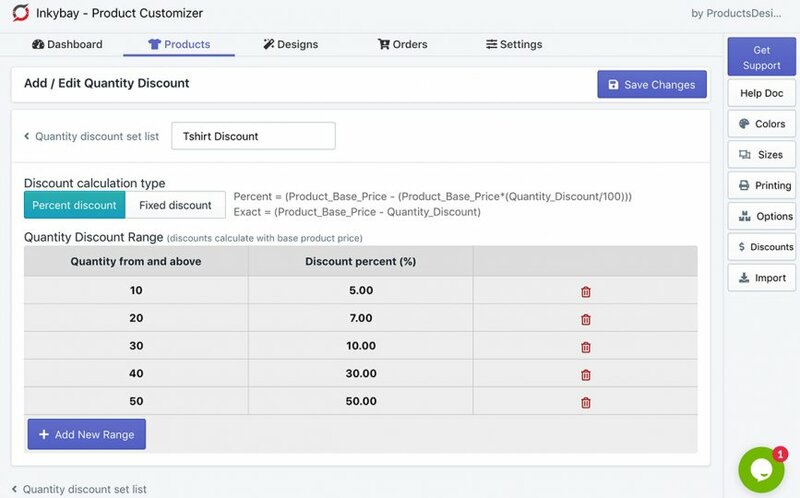 Easy option to add multi-panel/part products including group/relation set up between different sides and parts. 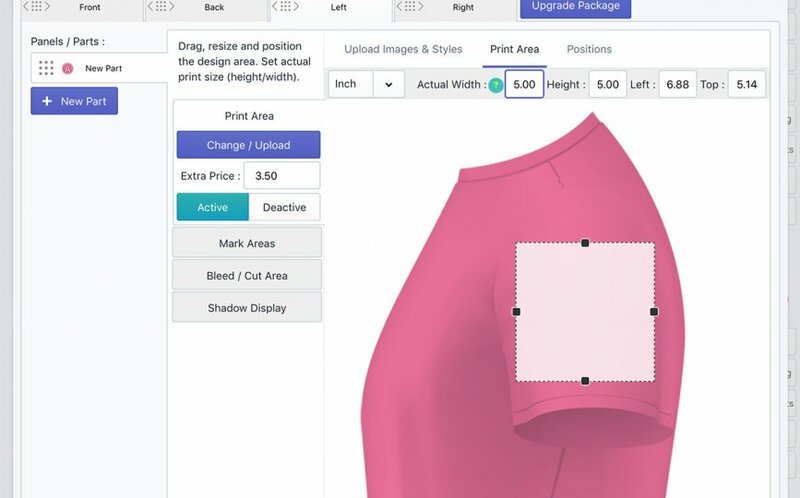 Change/upload custom print area shape easily. 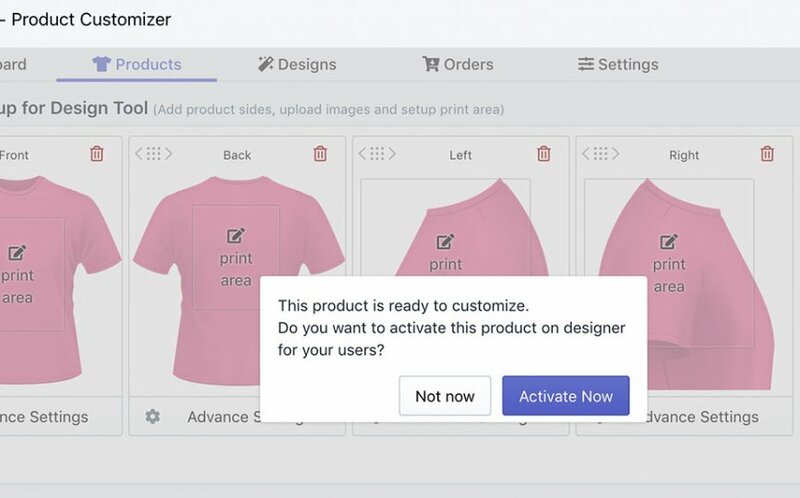 Option to inactive the print area, for a configurable product, you may not allow users to add any custom design on a specific product side. Bleed/cut area, if you need an extra cut area with the output file. 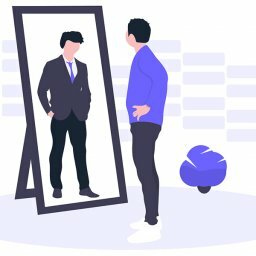 Shadow display, if you want to display an additional shadow over your product image. You can upload a custom shadow image as transparent PNG. 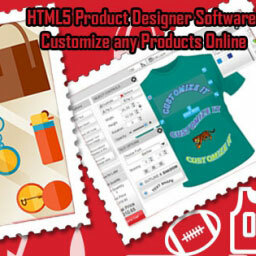 Confirmation message to activate the added valid custom products to allow user customization. 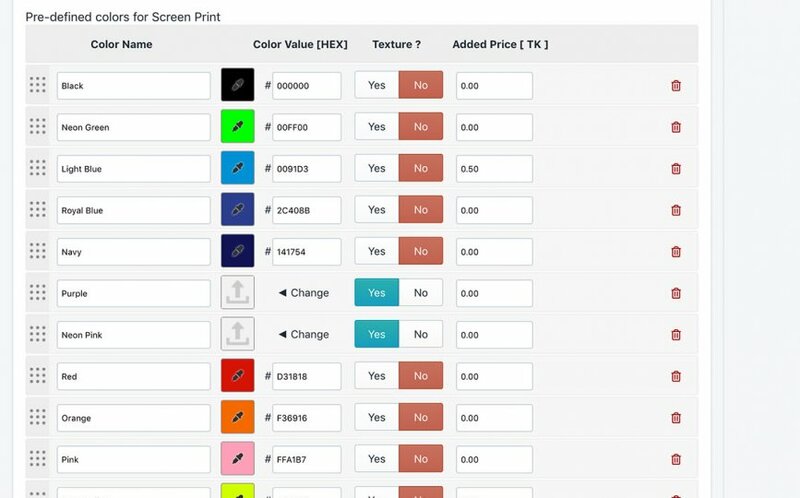 Printing type duplicate with all settings and colors. 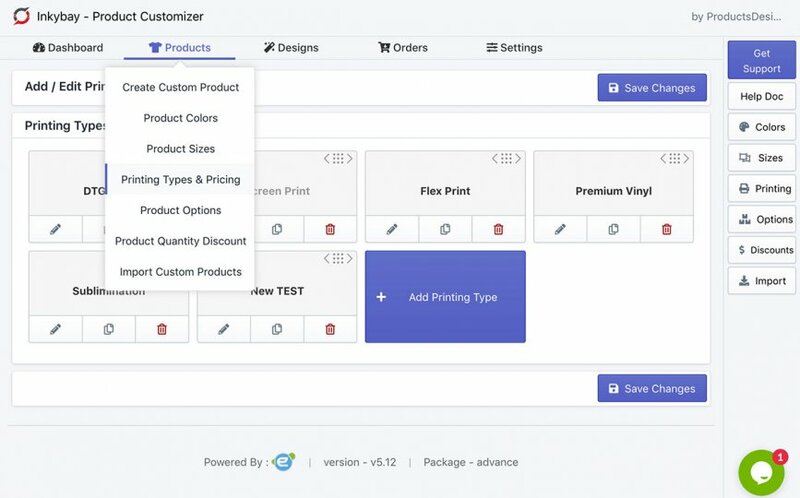 Easy color adding for printing types, option to choose from available stock colors including color code and names. 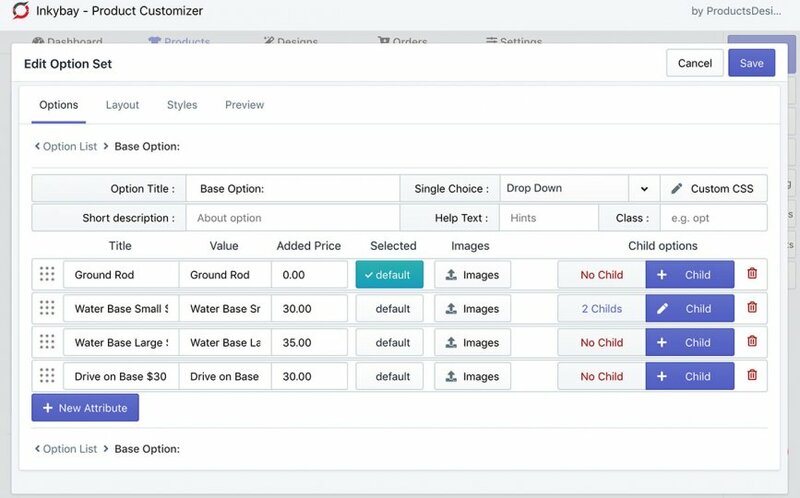 Default image filtering for printing types. 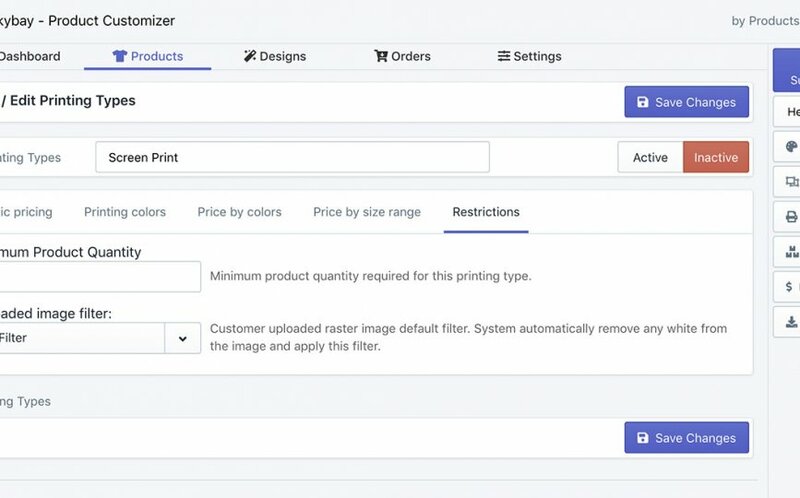 The system will automatically removes any white from the customer uploaded raster image and apply the selected color filter. Duplicate quantity discount set with all settings. 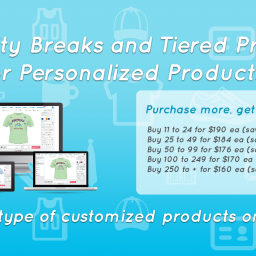 Extend quantity discount to apply the discount on base product price, product options price and customization charge. 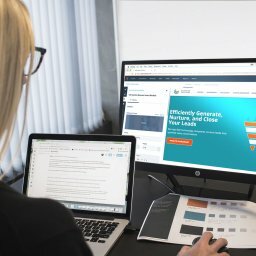 Addition custom CSS for option display. 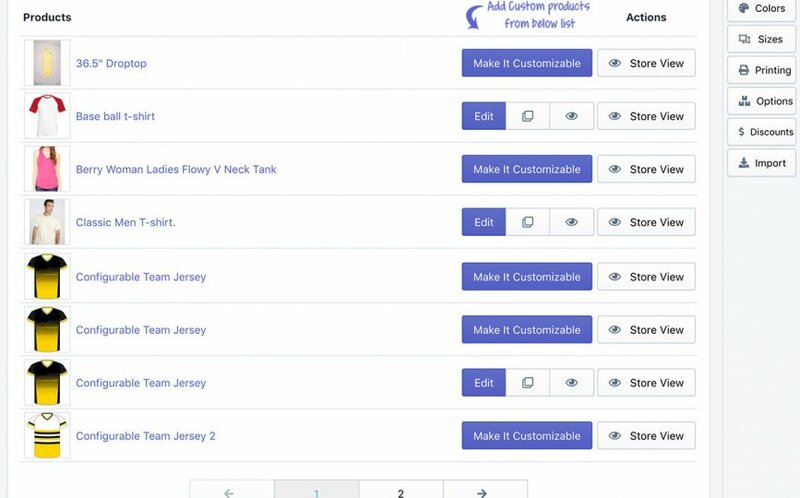 Clean order and customization details. 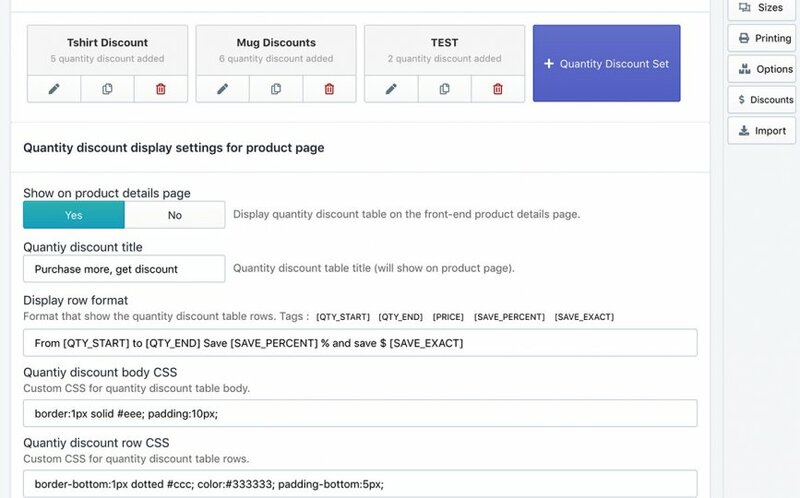 Added new option to restore/recover lost designlab or design idea pages. 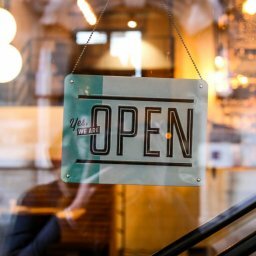 If admin accidentally removes the app pages or codes from Shopify admin. Admin can recover the page from settings. 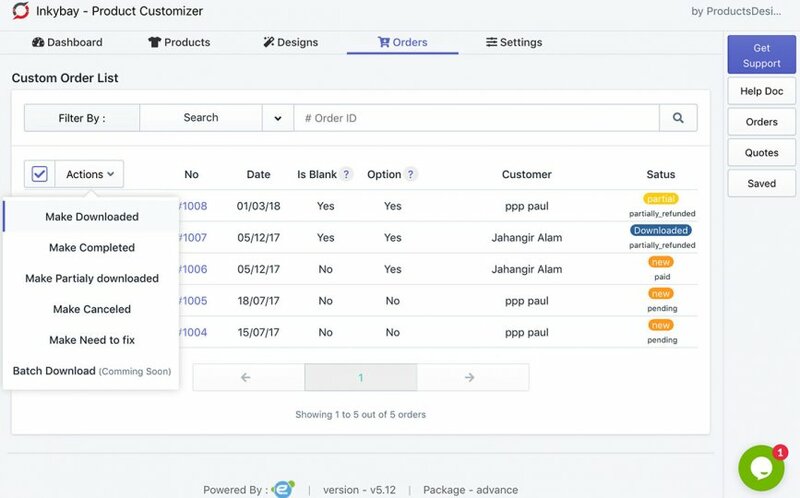 Added a separate product filter for Shopify product list to show store products and app created products separately to view clear product list. Easy theme changing option including available theme preview. Added new themes for the Inkybay design tool. 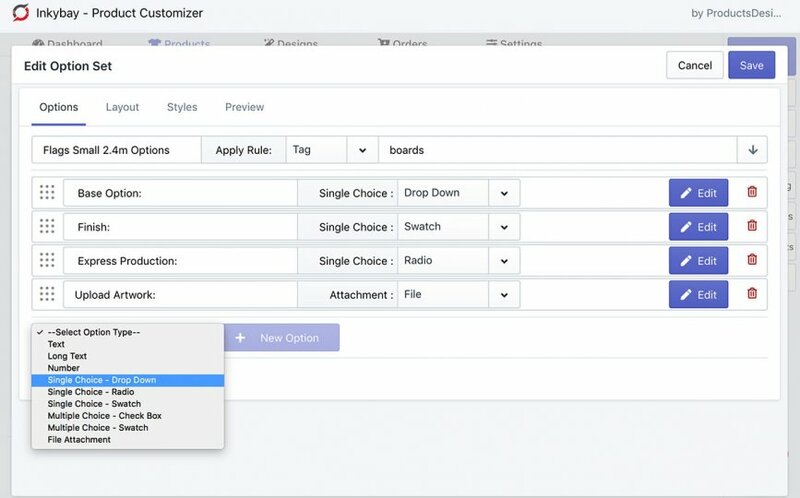 Design tool extended custom CSS adding option. 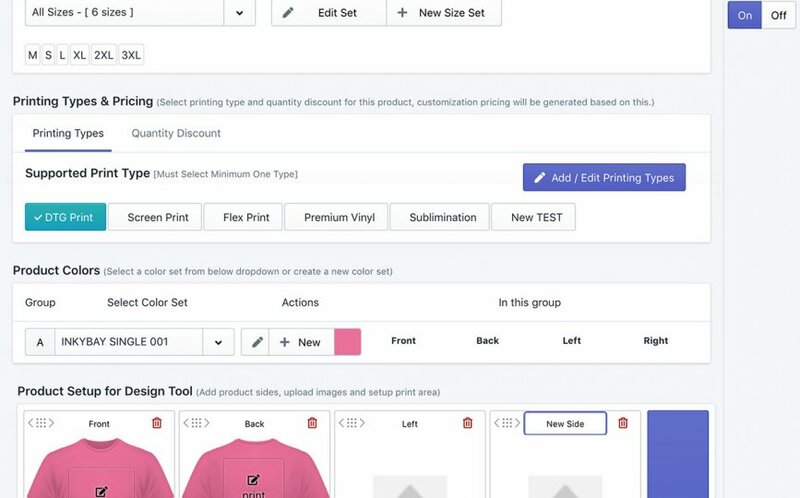 Now you can customize the design tool interface by adding custom CSS to match your brand. Added new language option to choose from ready translation. Added 6 new languages including French, German, Japanese, Italian, Portuguese(BR) and Spanish. 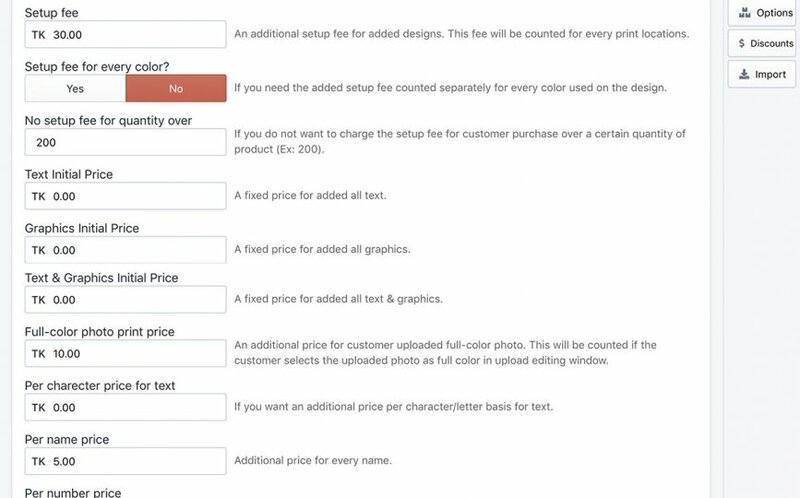 Now merchants can easily upgrade or downgrade their Inkybay plan. 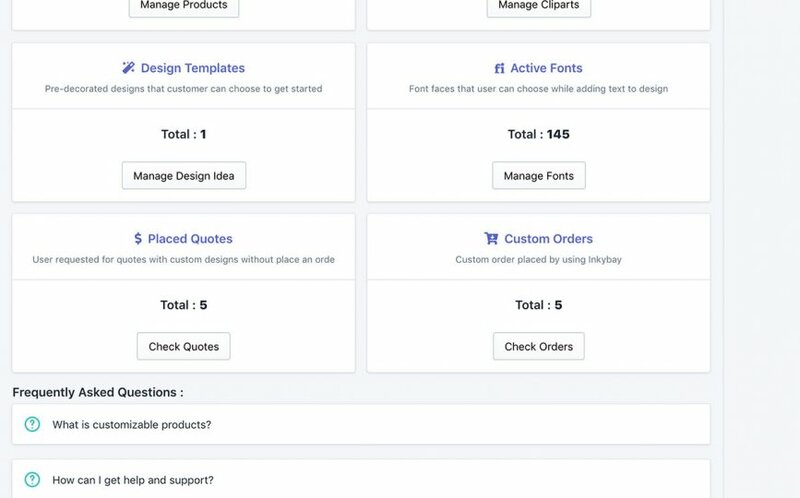 Easy support ticket system without leaving your current working page. Coming more new features soon. – Happy selling with Inkybay. Do you know when this update will be sent out? 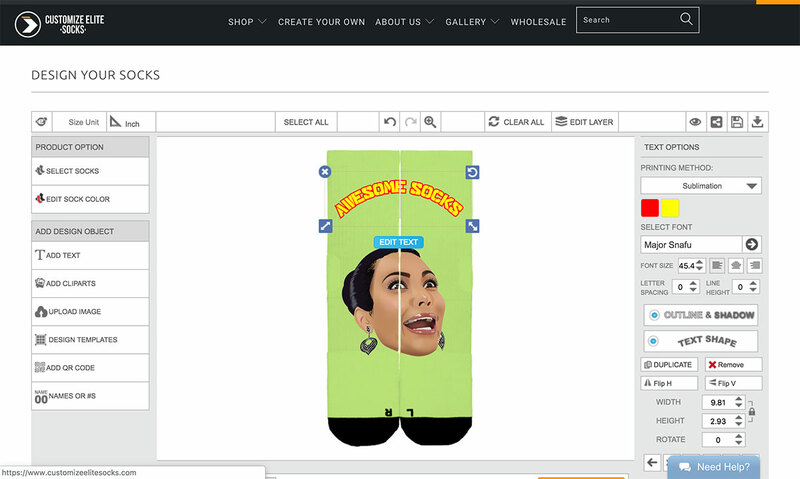 We have already make it live for all stores.